The 7th Annual ADPR Connection returns October 31. 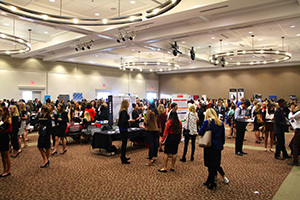 The event will run from 10 am to 5 pm and will include a coffee hour, luncheon, workshops and a career fair, located in UGA’s Tate Grand Hall. The theme for this year is Find Your Fit. The vision of the student co-directors is to facilitate an event that helps students learn more about themselves and the opportunities in Advertising and Public Relations with the hope that attendees can make find opportunities that to fit their personality, skills, and needs.